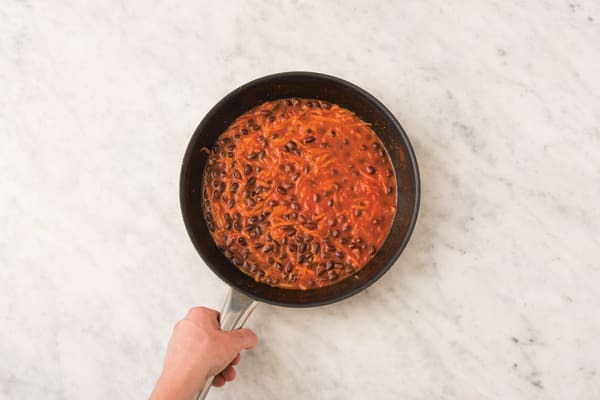 Black beans add a welcome change to this vegetarian main course. 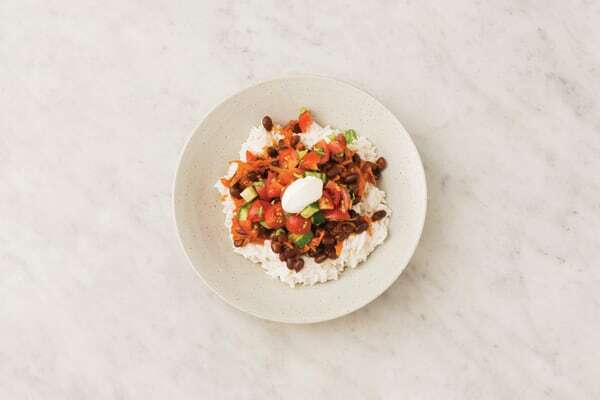 The petite, under-used legume is packed with fibre and protein, ideal to turn this mildly spiced chilli into a hearty dinner. With creamy coconut rice and a zesty tomato salsa on the side, this meal will wow you with its bold flavours. 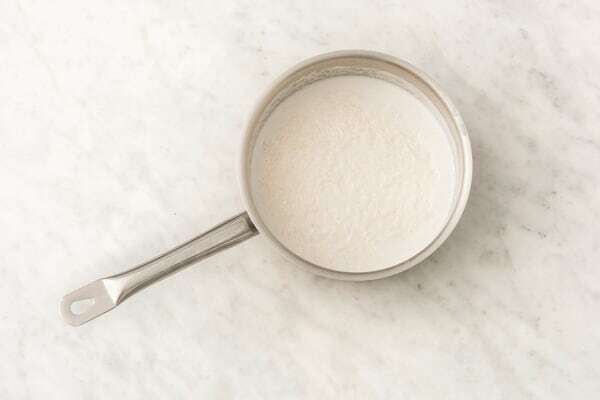 In a medium saucepan, combine the coconut milk, water (for the rice) and salt and bring to the boil over a medium-high heat. Add the basmati rice, stir, cover with a lid and reduce the heat to low. Cook for 15 minutes, then remove the pan from the heat and keep covered for another 10 minutes or until the rice is tender and the water is absorbed. 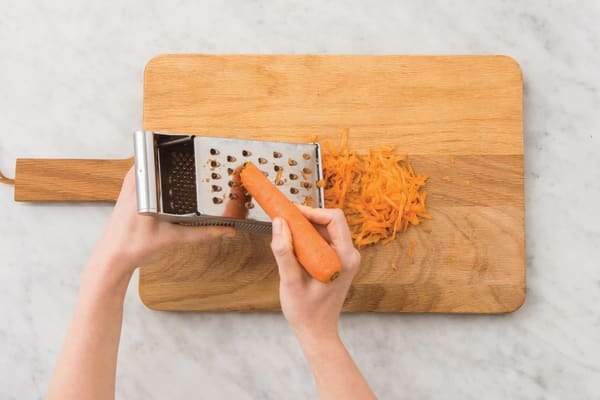 While the rice is cooking, grate the carrot (unpeeled). Finely chop the garlic (or use a garlic press). Drain and rinse the black beans. Heat a generous drizzle of olive oil in a large frying pan over a medium-high heat. Add the carrot, garlic, mild Caribbean jerk seasoning and a pinch of chilli flakes (if using) and cook for 1-2 minutes, or until fragrant. Add the tomato paste and cook for 1-2 minutes or until darkened. Add the mango chutney, black beans, water (for the sauce) and crumbled vegetable stock (1 cube for 2 people / 2 cubes for 4 people). Simmer for 5-7 minutes or until thickened. While the chilli is simmering, roughly chop the cherry tomatoes. Finely chop the cucumber. Pick and finely chop the mint leaves. 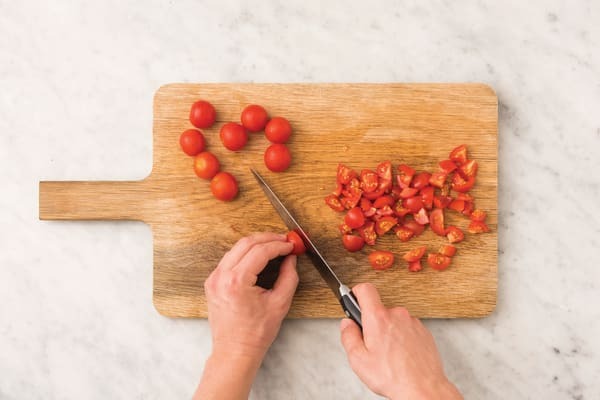 In a medium bowl, combine the cherry tomatoes, cucumber, mint, a squeeze of lemon juice and a drizzle of olive oil. Season to taste with salt and pepper and stir to combine. 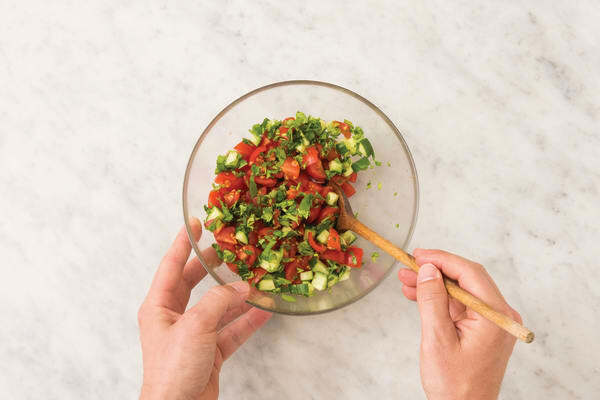 TIP: Seasoning is key in salsa! Taste and add more lemon juice, salt or pepper if you prefer. 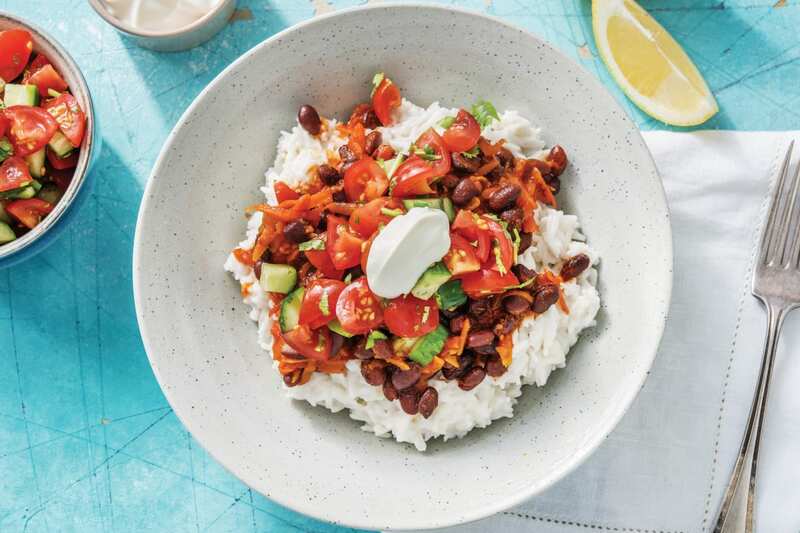 Divide the coconut rice and Caribbean black bean chilli between bowls. Top with a dollop of Greek yoghurt and spoon over the cherry tomato salsa. Serve with any remaining lemon wedges.